Are you sick and tired of pausing every time you want to adjust the temperature at your thermostat, just because you know that your energy costs may wind up higher than you’d like? We believe that you should not have to choose between your own comfort and your budget. We also understand, however, that there is no way to heat or cool your home for free. The more that you use your system, the more it will cost. So what is the budget-conscious homeowner to do? That is precisely what we are here to discuss today. Our team has some tips to share with you that will help you to enjoy better efficiency from your HVAC systems. We are not going to suggest that you go out with money that you don’t have to upgrade to a high-efficiency system that you cannot afford, either. While doing so will certainly boost efficiency, we have some more practical tips to share today. So read on, and feel free to contact the Columbia, SC HVAC pros on our staff with any questions that you may have. 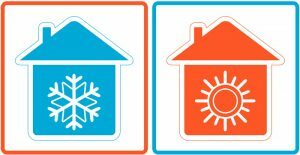 Chances are that you are familiar with at least a few different HVAC systems that may be used in homes to keep them cool throughout the year. Every now and then, though, we like to throw out a very quick refresher so that homeowners thinking about replacing their heaters or ACs can be reminded of some other options that they may not be so familiar with. That way, you can keep them in mind when the time comes to start seriously considering your new system. We’ll also take this opportunity to remind you that, while there are certainly a lot of great heaters and air conditioning systems out there, not one of them will function at peak performance, efficiency, and reliability levels if not professionally installed and serviced. Do not put your system and your own personal comfort at risk—not to mention your safety. Schedule your HVAC services in Columbia, SC with the professional technicians on our team.